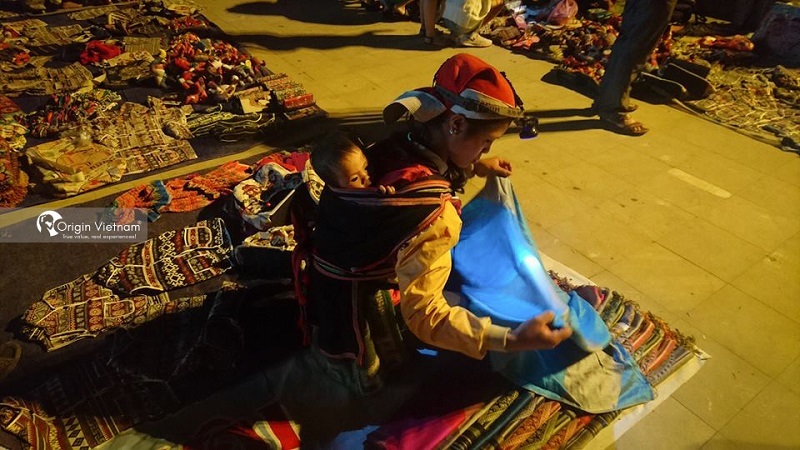 Sapa love market is a unique culture in Lao Cai. It's attracts not only domestic tourists but also foreign ones. 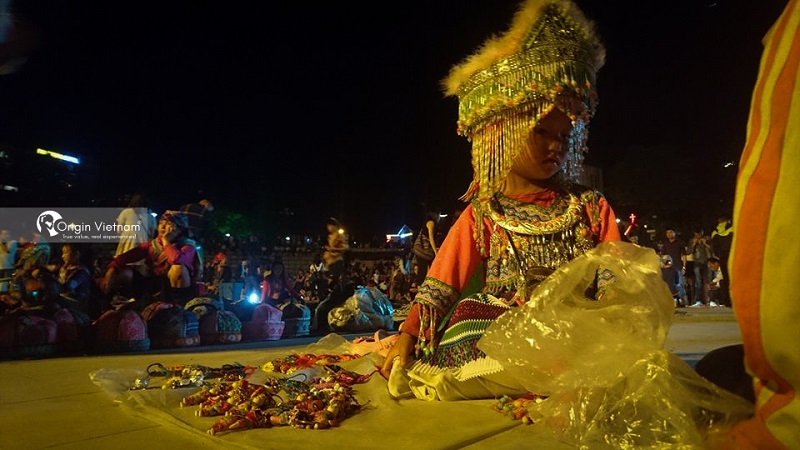 It's not like Khau Vai love market in Ha Giang or Moc Chau love market (Son La) is held once a year. But Sapa love market takes place more frequently on every Saturday evening. Now let's find out the unique features of Sapa love market via the following article with ORIGINVIETNAM.COM! 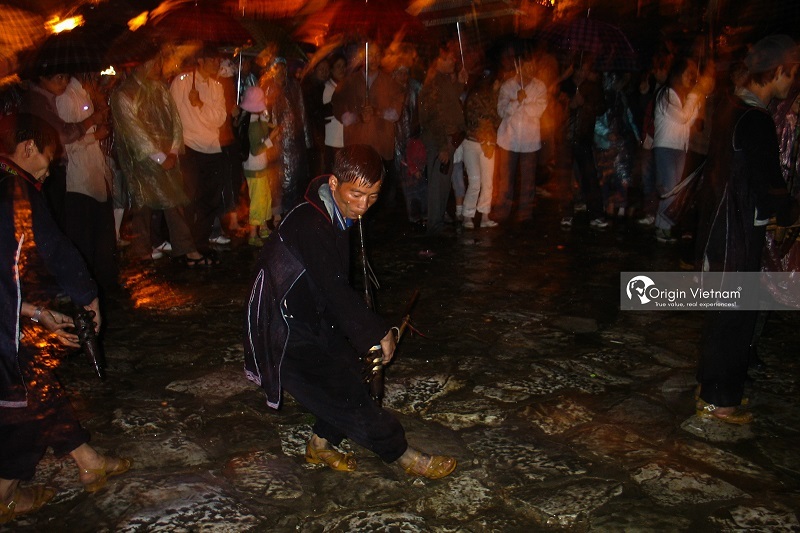 It is said that the Sa Pa love market is the oldest one. But no one knows when this love market began to be held. Only listen to the people recount that before, the market in Sapa only held one session a week on Saturday, people from all the villages came here to meet. But just only one day that they could not go back home on the same day. Therefore, all people who go to the market gather around their pants together, gradually become customary, habits. Also the market becomes a place where the boy and the girls meet, chat... that the love begins. How Sapa Love market is unique? Since then, the weekend night in this small town of Sapa. It's always bustling by the charming heart of the village boys, the enchanting dances of the girls, and shabby dresses. It's so exiting experiences if we could go here at the weekend. Sapa love market not only for love. This is also a place for people to do cultural activities, exchange goods, as well as tighten friendship. Sa Pa love market is not only a place for male and female teenagers to find partners. But also a unique traditional festival of Sa Pa tourist destination. Sa Pa love market is a market of Dao people from past to present. Every Saturday afternoon, under the street and in the ancient stone church area. There are many women wearing red scarves and wearing colorful embroidered costumes with silver rings and small coins attached lovely shoulder shirt. More interesting are the cries of every footstep from the beautiful little copper rattles on the scarves. The object that the girls looking for the Dao boys. Who is wearing indigo clothes, the same-colored towels, the hands of the watch and the shoulder of the cattsette. In another corner, the three boys gathered around a girl, they put their cattsette near the girl to record the confession songs in ethnic languages ​​to confess and give a gift of memories. Then the girl will try to escape from the boy. But the bold will try his best to keep the girls hand. After minutes or hours if the girls agree then she will give back to the boy a gift. Such as: a ring, a bracelet or a comb. Next her friend will take the girl to "send" to the man she has chosen. Then the couple will bring each other to wherever they want. Just to meet each other through a love market can say is a love "lightning". But bring the couple into a happy couple forever. Love market is a cultural beauty only in the highland ethnic minority, to Sapa love market . If you have a opportunity tour to Sapa at weekend. Let try once to attend the love market just to have unforgettable experiences and learn regional culture.